Desc: Copper and enamel dangle cross earrings. The sheperd hooks are fashioned from surgical steel. 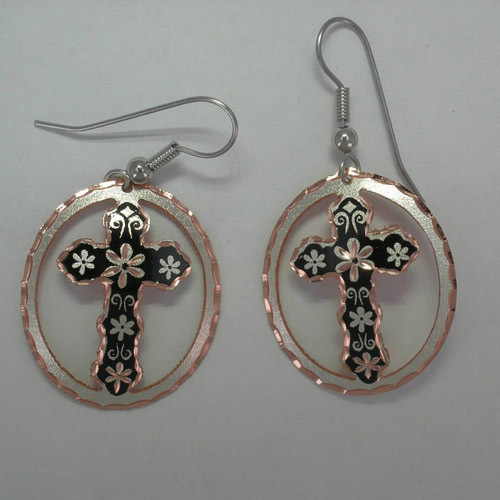 The oval copper earrings have a cross inside each oval. The earrings are open behind the cross. Silver and black enamel are used to create floral designs on the cross and around the edges of the oval. The earrings have a textured and bright polish finish.